We Offer An Unequalled Triple Guarantee. 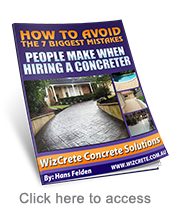 Wizcrete is proud to announce a first for the concrete industry in Australia. 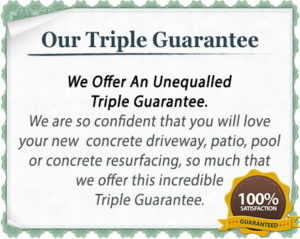 We are so confident that you will love your new concrete driveway, patio, pool or concrete resurfacing, so much that we offer this incredible Wizcrete Triple Guarantee. The reality is that people get scammed by shonky tradesman every day in Sydney and you don’t want to be a part of it. If you’re looking for a professional concrete contractor Sydney, we’d love to be the ones to work with you! Your “WizCrete Concrete Solutions Resurfacing” will be completed to your selected coloured concrete and design choices within the time limits we’ve agreed upon (except in the case of bad weather) or we will re-surface it until you’re happy with the results. 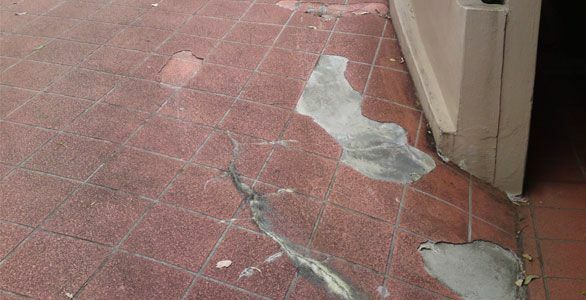 In the unlikely event that “WizCrete Concrete Solutions” can’t deliver on what we promised to your complete and utter satisfaction, we’ll personally pay for another concrete re-surfacer of YOUR choice to finish the job to your liking. be carried out every 24 months and we’ll honour this iron-clad guarantee. So the risk is entirely ours.